Please feel free to find me and "like" SeaMaidenGems on Facebook. I have been busy making and I've rather neglected my blog, but here I am, with my latest creations. I have been creating something completely new for me. 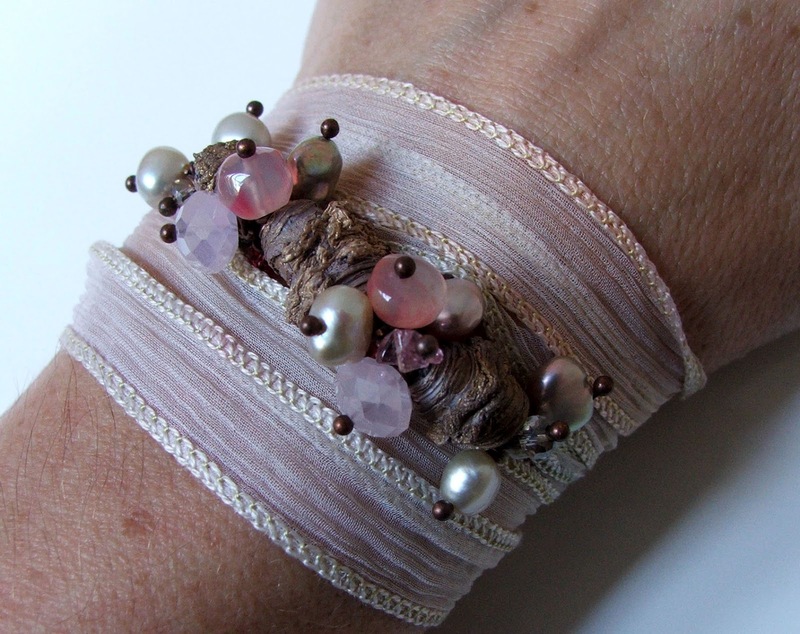 Silk wrap bracelets. 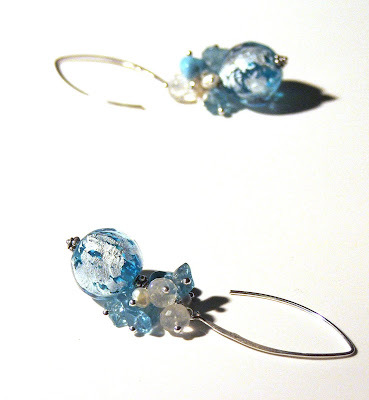 I have made a few now and I am having such fun ! 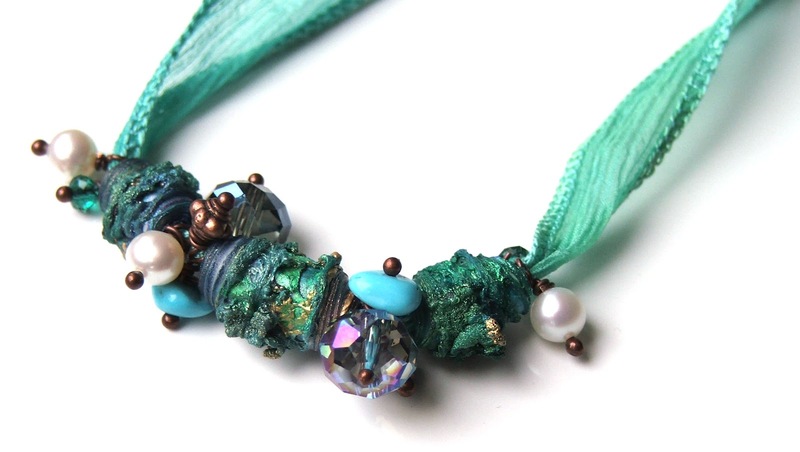 The bracelet cleverly doubles up as a necklace as the soft silk ribbon will adjust to your desired length. I have put them together using sea treasures in the form of delightful hand crafted texture beads from Cornish artist Carolyn Saxby, freshwater pearls, shimmering crystals like sun on the sea and gorgeous recycled aqua glass beads..all hand wired with sterling or copper headpins.. These bracelets are going to be this Summers musthave.. so fashionable and with that special unique touch from SeaMaidenGems...the ribbons are hand dyed and are so soft and very attractive on the wrist. Take a look at my flickr or find me on facebook to see more.. 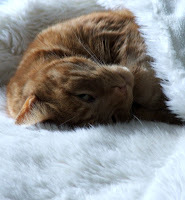 I thought you'd like to see a few photos of my gorgeous ginger pudding ! His name is Dennis and he is such an adorable boy ! 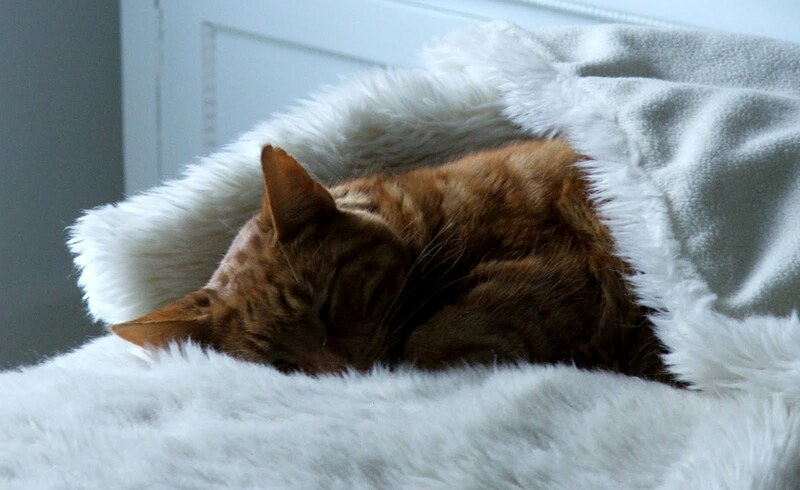 He is around 11 years old and he loves life.. mind you currently spending most of if indoors, snuggled up on warm fluffy blankets, who wouldn't !! Sand has arrived at Seaford Beach ! We took a walk along our beach yesterday and found sand ! 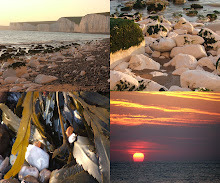 The beach here is shingle and we have glorious white cliffs along this stretch of the coastline.. 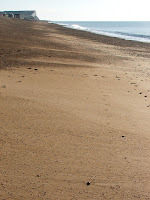 In the 1980's a huge transformation took place and our beach was changed as Seaford was under threat of flooding. They brought in boulders from Spain and tons of shingle from Littlehampton were pumped onto the beach from a ship. The groins were removed and we no longer have the traditional seaside look of Eastbourne, our neighbour, around 10 miles away. Sadly this left us with a large open expanse, some would argue for the better due to the possibility of floods occuring after winter storms. But others disagree. Mother Nature always fights back, and each year we have huge trucks shovelling up tons of shingle back to the top of the beach and flattening it out. It remains somewhat dustly and unsightly at the top as the sea doesn't reach that bit to wash it. But at the moment we have been blessed with beautiful sands, which I hope will remain a while... if you live here, go look as you may never see it again.. 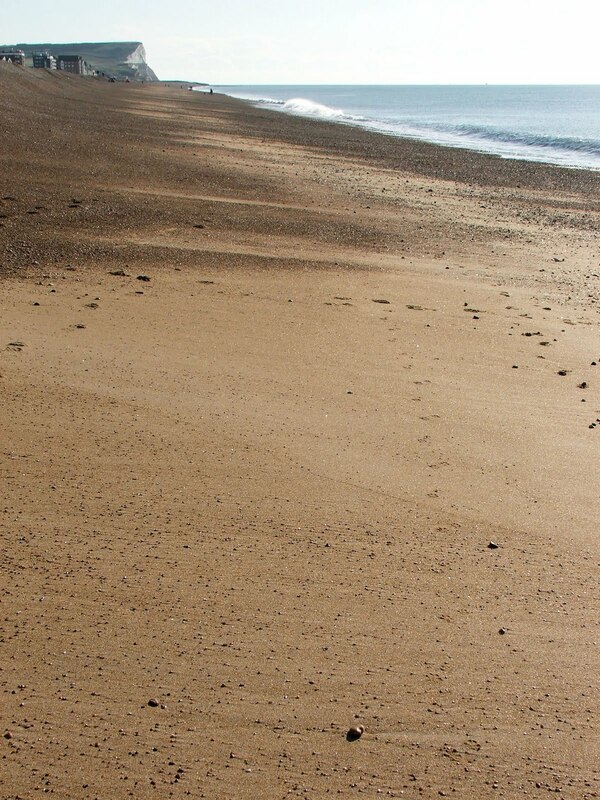 The photo showing the groins was taken today at Eastbourne and the other is of Seaford Beach as it is now. There are many answers to this question that must have been asked over centuries of time.. There have been many famous lovers too.. 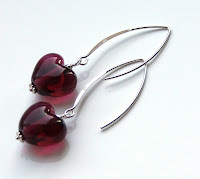 I have been putting together a collection of jewellery especially for Valentines Day.. hearts, crystals, pearls, sparkles, reds, blues, pinks.. earrings, bracelets and necklaces.. but you will also find other beauties too.. Please do go and check my website, have a peep ! and why not show the man in your life too !! I thought I would share with you my new Vintage range of jewellery. 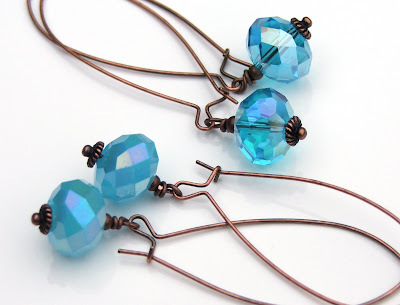 SeaMaidenGems have expanded into using copper with vintage style gems and crystals. The range includes earrings and bracelets. 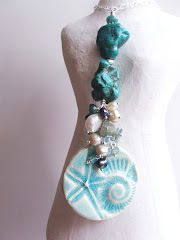 I will shortly be making pretty necklaces too. Girls need a bit of sparkle ! 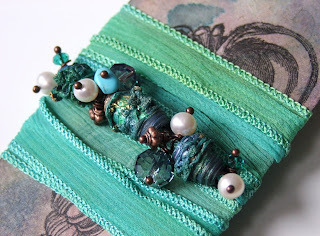 Soft moss greens to vivid sea blues and aquas. Hot reds too.. 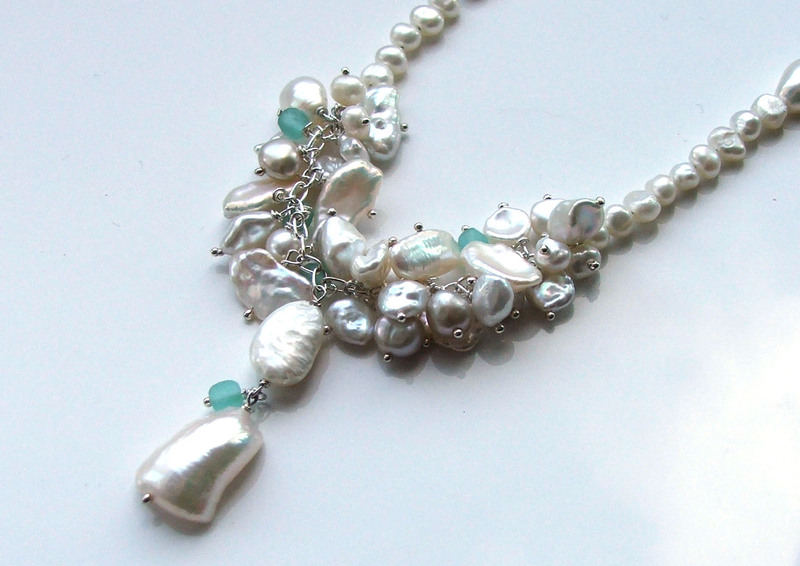 This elegant and chic jewellery is very exciting and in the coming weeks ahead I will post my Spring/Summer collection which will include gems and pearls, the sea colours that I love.. I am absolutely thrilled to announce that my new website is up and running..
input. I've not been an easy customer ! 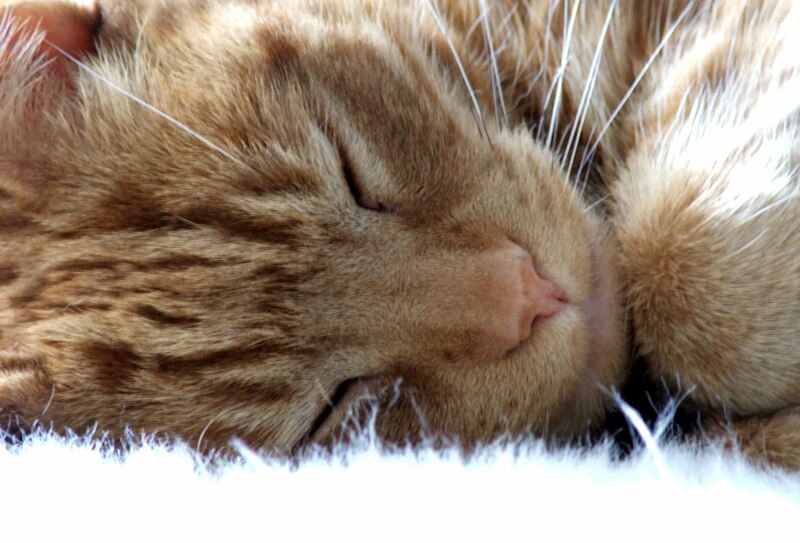 I have been very busy getting ready for the launch of my new website ! Jack is a web designer and details can be found on the link to his website below.. It's called "3 double yous" ! Great name isn't it ! Gorgeous hand painted brass charm earrings ~ So very perfect for Summer Days with sand between your toes.. 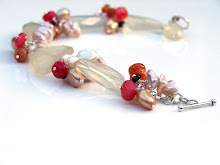 Stunning faceted lemon quartz with sunstone, pink chalcedony, and an array of freshwater peals...a combination representing a beautiful recent sunrise..